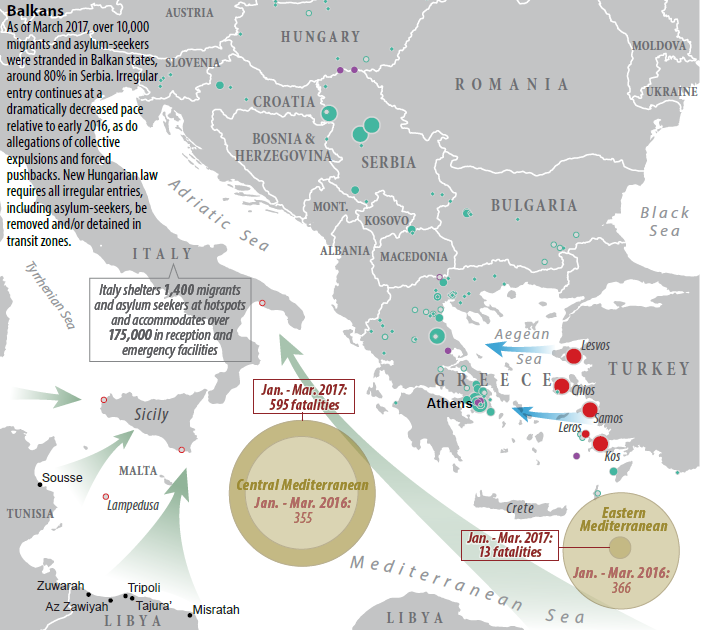 Since 2014, over 1.6 million migrants and asylum seekers have arrived by sea to Europe. 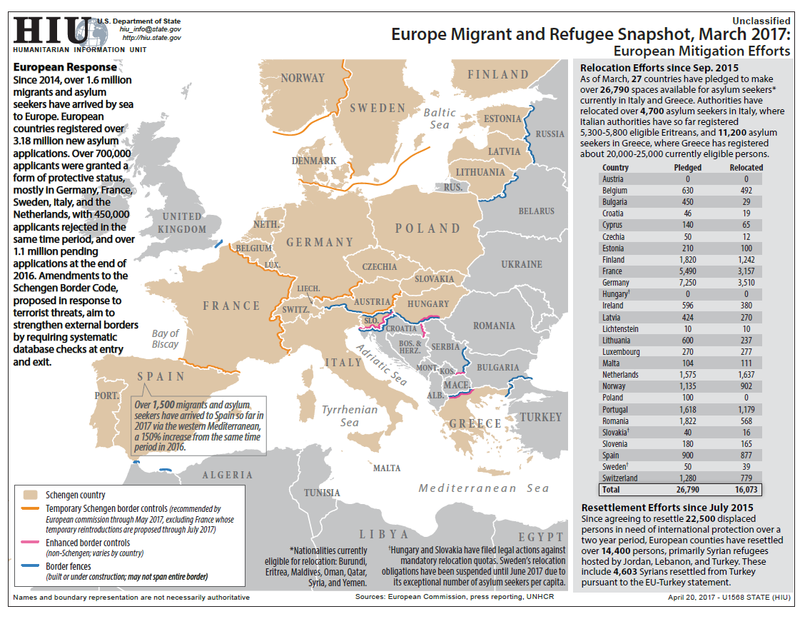 European countries registered over 3.18 million new asylum applications. Over 700,000 applicants were granted a form of protective status, mostly in Germany, France, Sweden, Italy, and the Netherlands, with 450,000 applicants rejected in the same time period, and over 1.1 million pending applications at the end of 2016. Amendments to the Schengen Border Code, proposed in response to terrorist threats, aim to strengthen external borders by requiring systematic database checks at entry and exit.